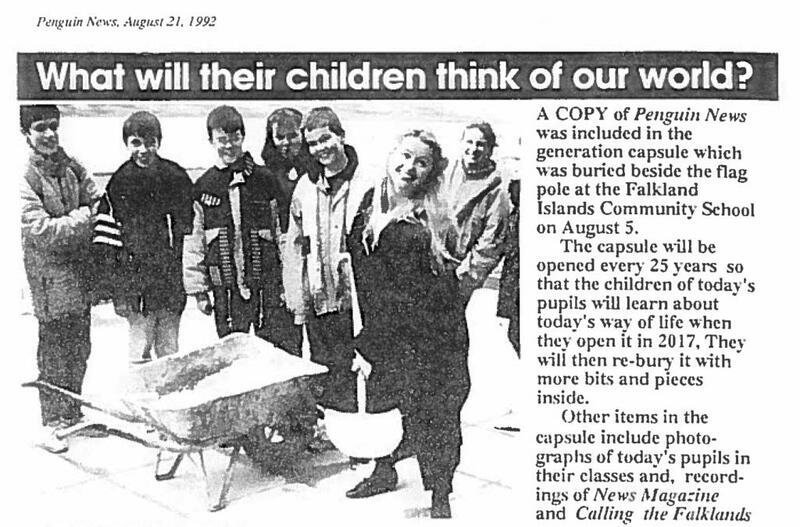 In celebration of our 25th year anniversary as Falkland Islands Community School, we are very pleased to share some of the items recovered from the time capsule buried at FICS in 1992. These will be reburied again this year and all items from this period were carefully catalouged and recorded in order to be enjoyed again for the next 25 years. The reburial will take place some time September or October of this year, together with some new items collected from staff, students, and some members of the community from this school year. Have a look and take a short trip down memory lane! The student handwritten accounts can be accessed on this link.